To be clear, I hate hippies. My favorite South Park episode, after the banned Scientology one, is the one where Cartman expels all the hacky-sackers and drum circles out of town. When I die, my personal hellish eternity will be spent in Deer Creek, Indiana, at a neverending Grateful Dead concert. I probably read Helter Skelter at too young an age, but I find the whole Summer Of Love generation more sinister than scintillating. 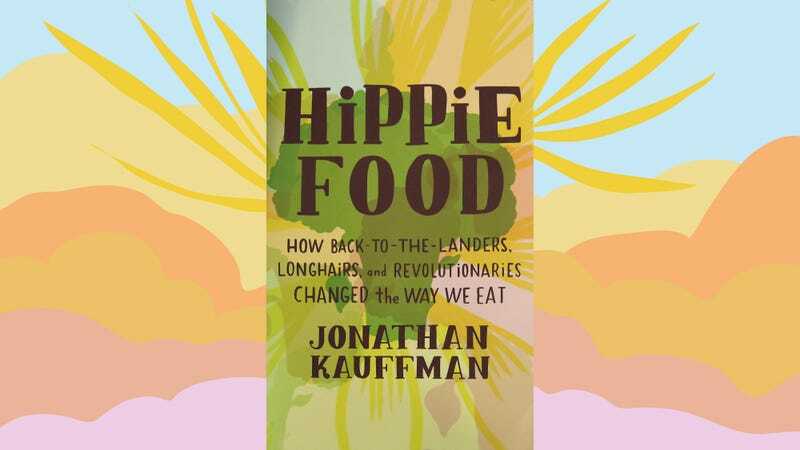 That is, I did, before I read food writer Jonathan Kauffman’s recent tome Hippie Food: How Back-To-The-Landers, Longhairs, And Revolutionaries Changed The Way We Eat. I’m proof that you don’t have to be a hippie fan to find this astonishing debut compelling or even fascinating. But if you’re at all interested in food, or agriculture, or modern American history, you won’t be able to put it down. Most of the book’s success is due to Kauffman’s skill as a nonfiction writer; his bio describes him as a “line cook turned journalist,” who’s now a James Beard Award-winning staff writer at the San Francisco Chronicle. He’s able to spin the rise of tofu, and the spread of brown rice, and the rivalries between various Austin food co-ops into mini-series-worthy sagas. The reader will be rewarded by finding hints of history from staples of the modern-day diet, from Stonyfield Yogurt to the birth of Whole Foods. Kauffman spent years researching this book, visiting states from Oregon to Texas to Vermont, and his ability to craft a narrative yarn from actual events is on the level of a similar chronicler like Devil In The White City’s Erik Larson. To explore how hippie food eventually invaded mainstream America—changing white bread to wheat, making alfalfa sprouts a staple, and integrating vegetarianism into the general populace—he breaks the movement down not chronologically as much as by category. Sure, he kicks off with the fascinating tales of posh health food restaurants like The Source, the Sunset Boulevard vegan restaurant that became all the rage in Southern California, endorsed by everyone from Jack LaLanne to Steve McQueen. But then Kauffman dives into topical chapters, breaking down the considerable history behind extremely specific foods. Brown rice, after all, is the foundation of the macrobiotics movement, where everything in a diet was classified by whether it was yin or yang. Tofu became popular after Francis Moore Lappé’s groundbreaking 1971 work Diet For A Small Planet, in which she successfully argues that vegetarianism can considerably extend the world’s food supply. Brown bread wasn’t just healthier than the processed white stuff in a plastic bag on grocery store shelves; it was a counterculture act that also helped feed the multitudes of young people descending on Haight-Asbury. Like many people, I had a (too brief, as it turns out) turn with vegetarianism, and was pleased to discover the backstories behind my three bibles during that time—Small Planet, The Vegetarian Epicure, and The Moosewood Cookbook, all written by women—all included in this book. And even though I have seen my share of Vietnam documentaries and yes, horrible Charlie Manson adaptations, I found new insight on the ’60s in Hippie Food. I didn’t realize that thousands of people left the cities to attempt to go live off the land, for example, with some communes housing as many as hundreds of people at a time. Or that now-staples like brown bread, tofu, and granola were seen as revolutionary only a few decades ago. And I had forgotten how much what you eat affects not only your body, but your market, your economy, and eventually your culture overall. In his ensuing exploration, Kauffman uncovers a previous untravelled road between food, counterculture, and late 20th-century U.S. history. 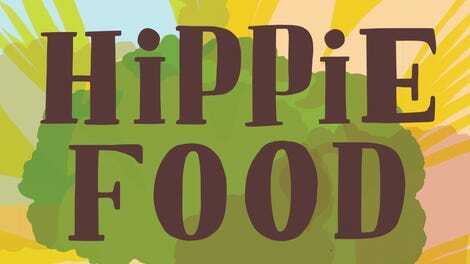 Hippie Food deserves to be on the same shelf as seminal food history works like Eric Schlosser’s Fast Food Nation and Michael Pollan’s The Omnivore’s Dilemma. Plus it’ll give you some literal food for thought the next time you hit the grocery store (especially Whole Foods). You may never look at a bowl of brown rice the same way again.